​The writing was on the wall here for ​Kelly Bryant and the Clemson Tigers. After missing the last two days of practice, many out there were speculating what exactly was going on with the senior quarterback. Now, we have our answer. In an exclusive interview with Manie Robinson of The Greenville News, Bryant revealed he has played his last down for the Tigers and will be transferring out of the program. ​​We all saw this coming and Dabo Swinney has made the incredibly difficult decision. 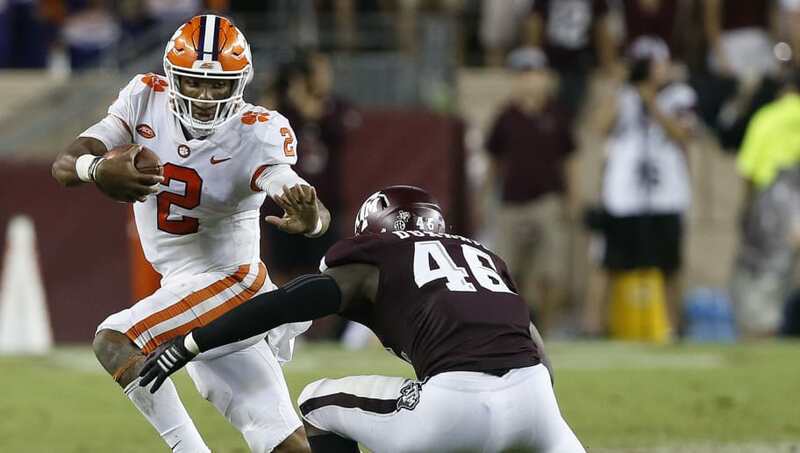 Bryant, who helped lead the Tigers back to the College Football Playoff last season, lost his starting job over the weekend to ​freshman phenom Trevor Lawrence, a 5-star signal caller and the nation's No. 2 overall player coming out of the 2018 class. Kelly Bryant is 15-2 as a starter. He has been a catalyst in big road wins at Louisville, Virginia Tech, South Carolina and Texas A&M. Yet to hear some Clemson fans complain about him you'd think he were 2-15. Kind of sad. With the new redshirt rules in the NCAA (players can appear in four games without burning RS), Bryant will still have one year of eligibility remaining to play elsewhere. With all the success he had at Clemson, you have to figure his phone is going to BLOW up with coaches around the country looking to land his services. This season for the Tigers (4-0), Bryant tossed for 461 yards, two touchdowns and one interception. He's added 130 rushing yards and two additional scores. However, Lawrence has been on fire this season, which helped him land the No. 1 job. The frosh has tossed for 600 yards, nine touchdowns and two picks. Now, the offense is all his, while Bryant will look to begin a new chapter on a different campus.